Today... it's warm, humid and sunny after a big rainstorm that passed above us this morning... Roo and I were so happy to be outside while FB poured himself in his writing. I sat on a big flat rock and tried to just close my eyes... while roo played with rocks and puddles. I felt like I could hear waves crashing onto rocks in my heart not through my ears. When I opened my eyes, her face was full of dirt splashes and muddy sand. Cute little thing. 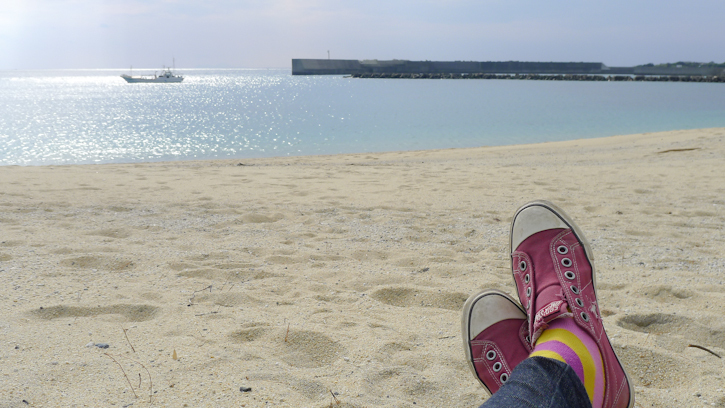 photos are from our Onigiri (rice ball) picnic 2 days ago at Kurio beach.